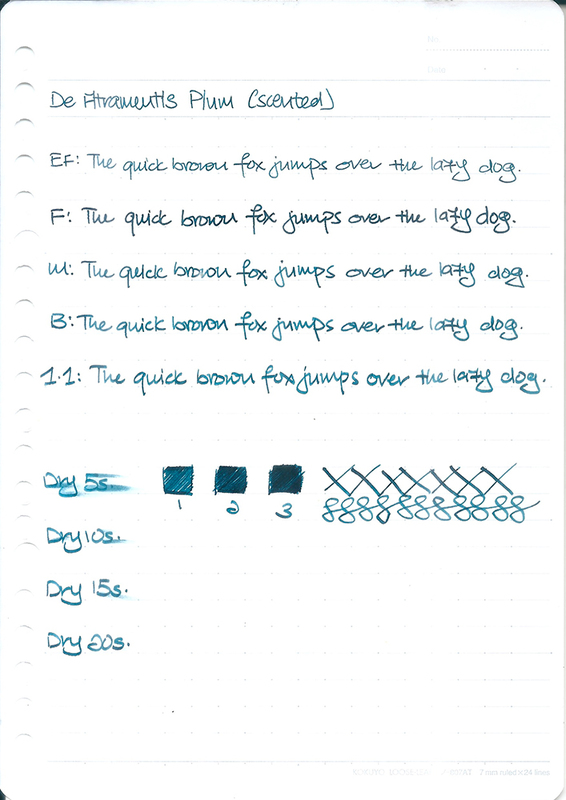 This is the 3rd scented ink from De Atramentis that I’m reviewing. The others are Orange and Vineyard Peach. Plum is a beautiful blend of blue and green. It shades well from a green to a dark blue heavy teal colour. 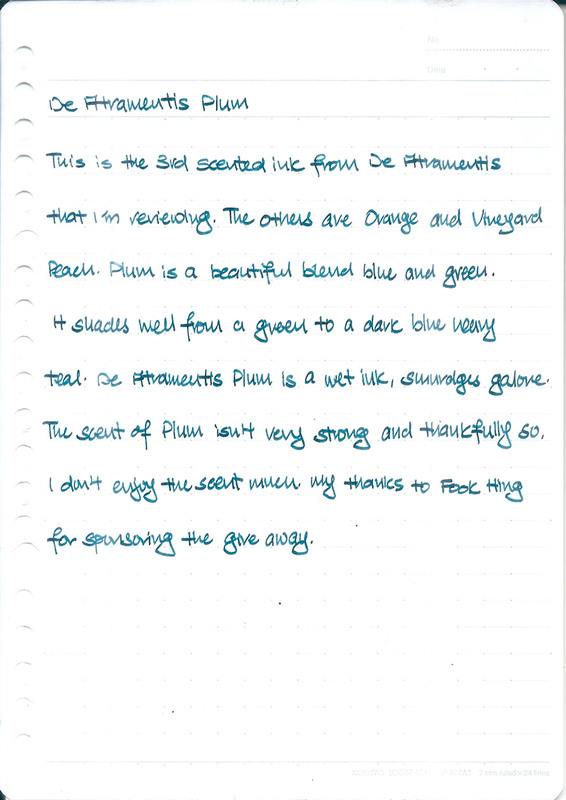 De Atramentis Plum is a wet ink, smudges galore. The scent of plum isn’t very strong and thankfully so. I don’t enjoy the scent much. My thanks to Fook Hing for providing the ink to me for review free of charge. I am giving away the bottle of De Atramentis Plum. All you have to do is tell me a joke in the comments below. This giveaway will ends 14th August 2015. This giveaway is only open to people residing in Singapore.